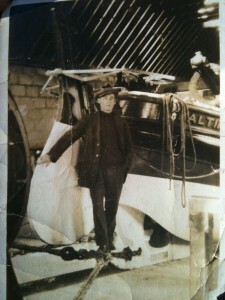 Pictured here is Louis Nolan, lifeboat mechanic on the first lifeboat stationed at Baltimore. This photo was taken prior to 1945 in the station boathouse, showing the stern of lifeboat ON649 The Shamrock (also known as the Duke of Connaught). The Watson class lifeboat was stationed here from from 17 August 1919 until 11 October 1949. 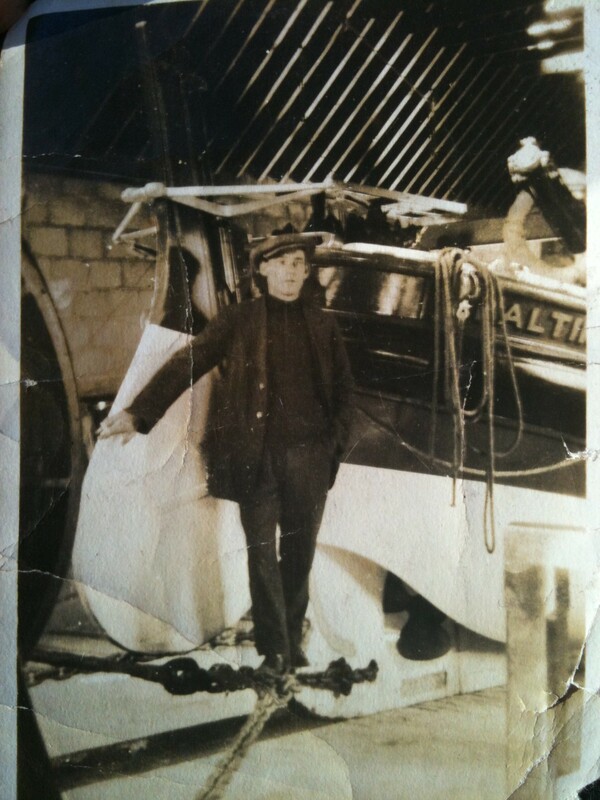 Louis’s father Bill served on the Shamrock as Coxswain and Louis’s son Billy later served on the Sarah Tilson.